No one Should Call you a Dreamer! Welcome to Blonde On Blog. Milwaukee, MFWI hosts this worded affair that will mix my love of pop culture, and especially le musique with friends and the unfamiliar alike. After I get the hang of this I will be sure to add media, photos, and such. But as of now I am just getting a handle on my tongue. 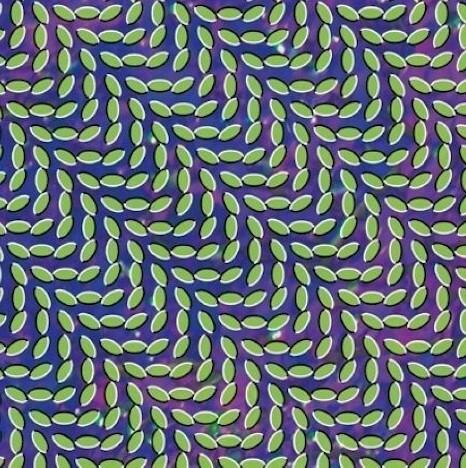 Let’s jump right in and ask, if you have yet to hear the new Animal Collective record (Merriweather Post Pavilion), what are you waiting for? Better yet, if you have yet to hear the last three Animal Collective records, you have some catching up to do. Now there are sure to be many cliched answers. “Well, I’ve always heard that they are way too eccentric and I don’t really want to challenge myself. I’d rather listen to Paramore.” Bleh. Or, my favorite, “I used to like them but there is so much hype surrounding this record and I’m such a hip prick that I’m going to boycott it.” In my opinion, neither one of these answers is valid enough to ignore such a sonic throw down. The three gentleman that make up AC (Avey Tare, Panda Bear, Geologist) create a paralyzing blend of rhythm, harmony, and blissful fuckery that escapes complete classification. But in an effort to try and do just that, try and remember your most relaxed musical memory. It could have been on an LSD induced trail watching evening spent with Icelandic chillers Sigur Ros, a whiskey fueled “Faithfully” sing-a-long, or a Tab quenched bubble soak with Sade pulsing through your intercom. Now mix that with the most intense and smile creating memory in your arsenal and you have the brilliance of Animal Collective. For me, Merriweather Post Pavilion does exactly what I expected and hoped that it would do. It takes all of the blissful moments of all of Animal Collective’s records and Panda Bears solo efforts; the beautiful harmonies, powerful intensity, and fractured beats that lacked cohesion on other records and fuses them together to construct one solid album. The hardworking listener before, an archeologist that was forced to search and sift through satisfying soot in order to get to his treasure, is now out of a job. The treasure has risen to the surface and awaits its seeker. 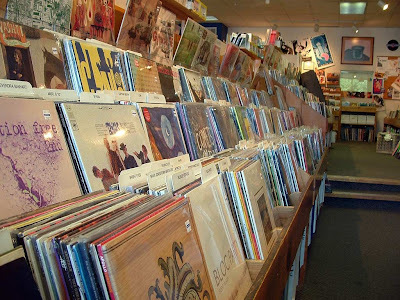 Stay Tuned as I will next bring you news of my second favorite, or favorite (it fluctuates) record of 2009 (so far). 3 responses to No one Should Call you a Dreamer! I know nothing of Animal Collective so all I’ve got to say is sweet layout and sweet writing–welcome to the Blogosphere! After reading your blog I am compelled to check out Animal Collective. I can’t help but wonder if you are as handsome as you are insightful. I can confirm that whatever your expectations are of the man behind the blog, he far exceeds them. Especially if you expect him to only have one drink.